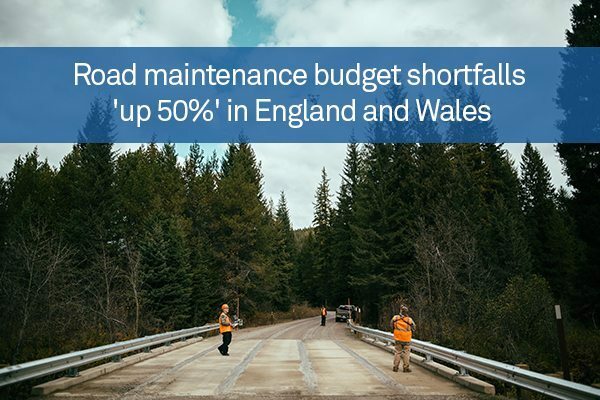 A new survey has found that local authorities in England and Wales saw a 50 per cent increase in budget shortfalls for road maintenance between 2014 and 2015, thanks in part to a 16 per cent decline in available cash year on year. The Annual Local Authority Road Maintenance (ALARM) survey, published on March 23rd by UK trade association the Asphalt Industry Alliance (AIA), found that local authority budgets for fixes to problems like potholes came up short by an average of £4.6 million in 2015 – up from just £3.2 million in the previous year. This suggests that the benefits of the UK government’s commitment to spend £6 billion on local road maintenance are still not being felt, the AIA said. “The network is aging and the cumulative effect of decades of underfunding is continuing to take its toll,” commented Alan Mackenzie, chairman of the association. The ALARM survey also found that local authorities in England and Wales filled fewer potholes in 2015 than in 2014, although the number was still “worryingly high” at over two million. One in three respondents reported unforeseen costs due to issues such as adverse weather conditions, although these costs were lower than in previous years – possibly the result of a mild winter in the UK. Nonetheless, Mr Mackenzie argued that British roads are “deteriorating at a faster rate than they can be repaired”. “It is clear that there is still not enough money available to tackle the backlog of repairs needed to get our road network back into anything approaching a reasonable condition,” he concluded.